Welcome home! …to this fully renovated, sprawling apartment with open chef's kitchen and 25' terrace. 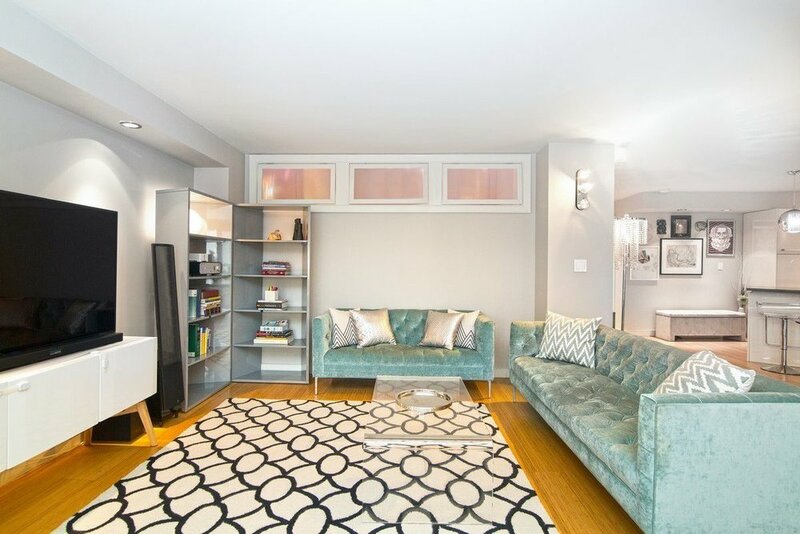 Currently configured as 1 bedroom with nursery/home office, this home features an oversized 22' x 25' living room with two sets of sliding doors leading to an oasis of private outdoor space. The Italian kitchen is the star of the show with Zebrano and cream colored cabinets, open display shelves, a warm cork floor, caesarstone counters and a breakfast bar. It's also fully loaded with corner lazy susans, pull out pantry, Blanco sink, Liebherr Fridge, Bertazonni gas range, wine fridge, Miele dishwasher and Miele microwave. The king sized master bedroom connects to the ensuite, tastefully renovated master bath via a changing area and built in vanity & storage. There is tremendous walk-in closet as well. Currently a nursery, the second room opens via sliding frosted glass doors to the living room, with valance windows for light and air, there is ensuite bathroom and a large walk-in closet. There are beautiful bamboo floors throughout the apartment and a giant walk in storage room off the entry. A second bedroom is easily added to create a 2 bed + study without compromising the space.The Gramercy Spire is a fully serviced coop with amenities that include 24 hour doorman/concierge, a live-in super, a central laundry room, bicycle and additional storage units, and an on-premises parking garage. The building is pet friendly and officially designated as non-smoking. 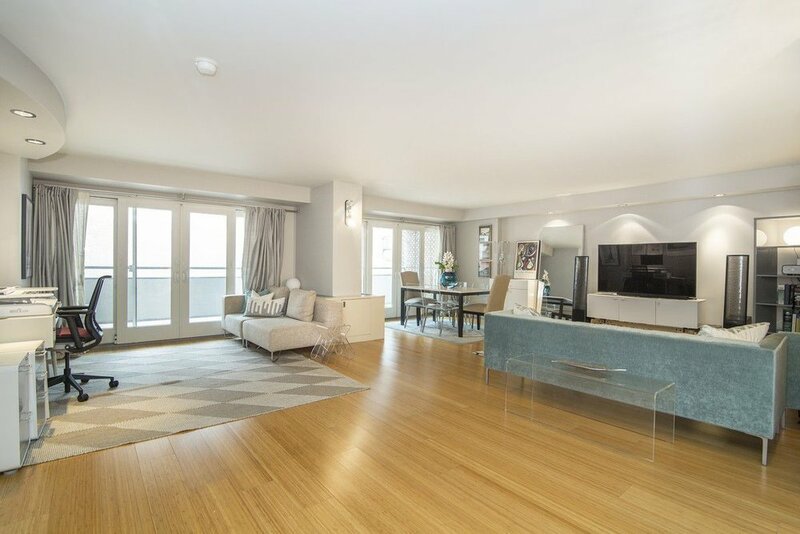 Convenient to exceptional downtown dining, shopping, and entertainment and all that Gramercy Park, Union Square Park, Flatiron, and the renowned Farmer's Market have to offer. We are a full service New York City real estate brokerage. Our model rewards our clients with commission rebates as well as 100% transparent service. The Burkhardt Group donates a portion of each commission to: The Henry Street Settlement and New Life 4 Kids.